New molding clip studs to replace your rusted or missing originals. These have a phillips head and simply screw into place. Sold in a pack of ten (10) pieces. Correct 30 amp convertible power top circuit breaker for 64, 65, 66, 67, 68, 69, 70, 71 Chevelle models. Mounts on firewall. New correct design power window switch for your El Camino. Exact fit for all 64, 65, 66, 67, 68, 69, 70, and 71 models. Does both left hand and right hand door glasses. 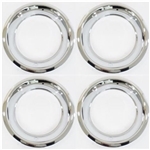 Exact rounded outer edge and lip. 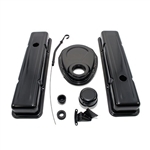 Includes retaining clip for an easy install. New trunk lid positraction decal. Factory correct peel and stick design. Original shape, size, and details. 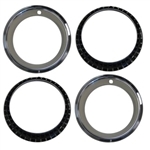 Installed on the back side of your deck lid if your car was equipped with a limited slip rear end. 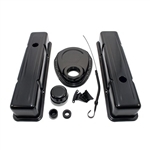 Fits all 64, 65, 66, 67, 68, 69, 70, and 71 Chevelle and Nova with posi rear axle.